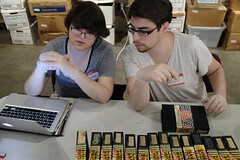 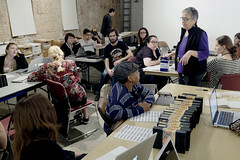 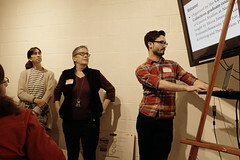 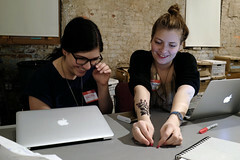 The Community Archiving: Media Collections class, supervised by Associate Arts Professor Mona Jimenez in collaboration with DCTV – the Downtown Community Television Center- organized a workshop in their ofﬁce space in downtown Manhattan in order to archive part of DCTV media collections. 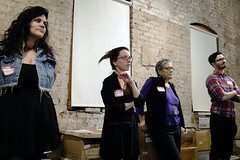 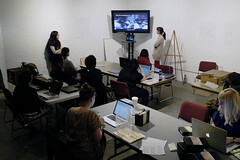 Jimenez is part of the Moving Image Archiving and Preservation Program (MIAP) at New York University, and students were from MIAP, Cinema Studies and Latin America and Caribbean Studies. 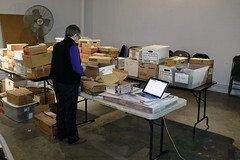 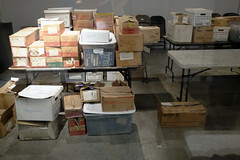 The goal was to make an inventory of documentaries (and their production elements) that DCTV has been producing since the creation of the media center in 1972.